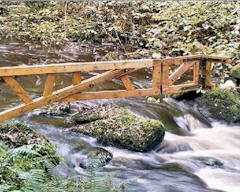 The River Vartry runs from the Wicklow Mountains at Sally Gap to the BroadLough Bird Sanctuary at the Irish Sea. It is a rare and beautiful river with a fine history that is a part of all of us that live around it and needs our collective help to protect it. 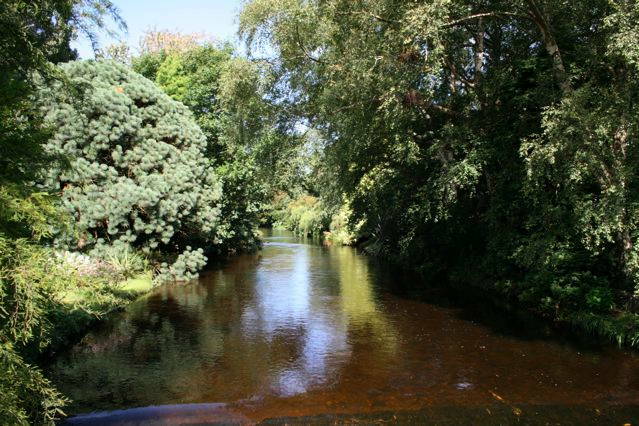 There are constant threats to the sensitive Ecosystem created by the river as it passes through Wicklow and it takes the collective care of many concerned people to keep it safe. We are only beginning to feel the community of Landowners and concerned people and get an image of this thoroughfare that winds its way through each of our lives. We are all connected by it and if someone stood at the top of Sally Gap and placed a “pooh stick” or a paper boat in the water it would eventually flow down to the sea. Let me take you through that journey and all the important places it would travel. The water that runs off of Sally Gap flows down to the upper lake of the Vartry River and from there proceeds to RoundWood who have a sign on the road “The highest village in Ireland”. Assuming that applies to altitude, I have always been surprised. In Roundwood there is an upper reservoir and a lower one separated by a road and a small bridge. That bridge seems small but one year when there was a drought, the old bridge which crossed the original small Vartry River appeared 20 feet below with only one arch. 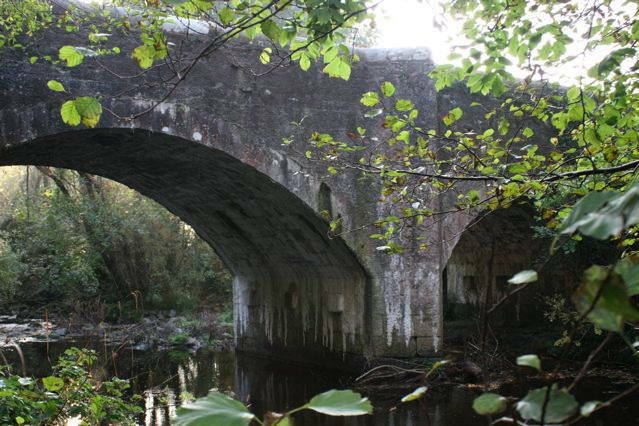 This was the bridge used before 1868 and still is there under the water on the lower reservoir side. At the top of the lower reservoir is the Roundwood Treatment Works which was commissioned in 1868. This was a monumental change for Dublin of that time who drank water from that canals, which cause sickness and disease throughout the city. This new Varty water was piped to Stillorgan and changed the city in the days of James Joyce. Joyce made several reference to the Vartry in Ulysses. At this time there was a sense of the value of clean water and there was a law attached to the agreement over the Vartry water that it could not be used for filling the canals. There are several interesting articles to read from that period about the reservoir. 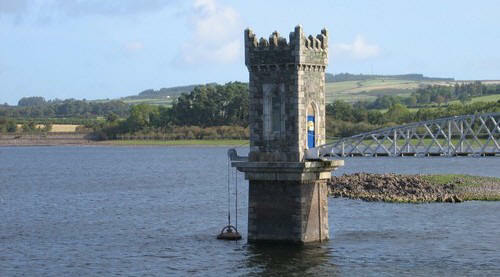 Today this reservoir and the Vartry Waterworks hold the key to how much water is allowed to flow in the Vartry River. The water flows down and across the valley of Moneystown and across the fields of many farms before it cascades down Devil’s Glen. At Annagowlan Bridge, just above Devil’s Glen is an abstraction of water directly from the River that is piped to Conroe Water Works. The Tiglin adventure centre is also on the river at this point. 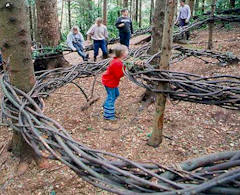 Devil’s Glen Waterfall is another attraction of the River Vartry with its forest path and sculptures in nature. From the waterfall, the river flows down past Devil’s Glen Equestrian Centre and down under the 1700’s Nun’s Cross Bridge, which is a protected structure. 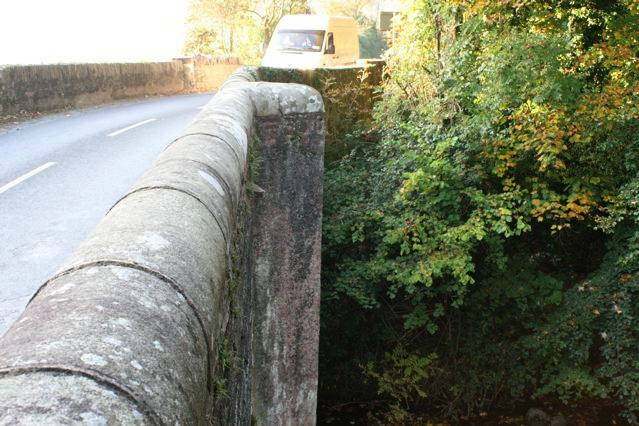 The Bridge has been repaired but still maintains much of its original structures, which include an original arch of mud and slate as well as its buttresses and parapet. 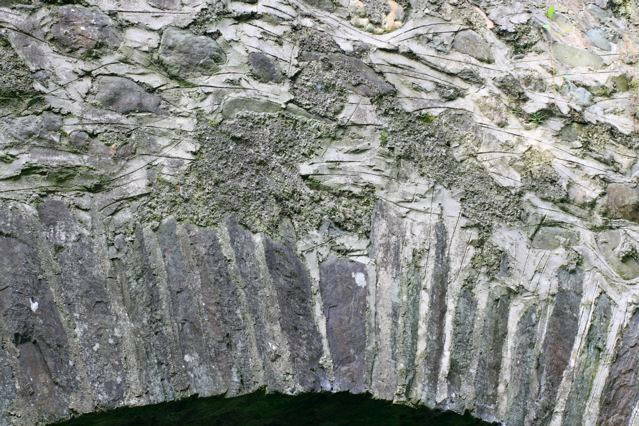 The oldest part of the bridge has its original slate arch build of mud and slate. 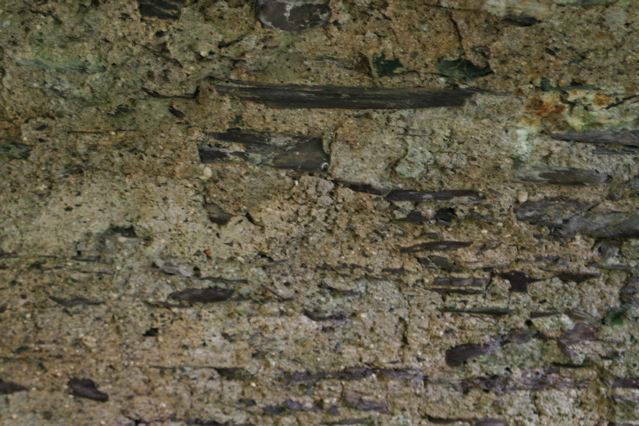 The original parapet still is intact with the distinctive places to stand. As a EU protected Salmonid River there are Salmon Beds from Devil’s Glen all the way down the stretch of river. This is a sensitive part of the River which is subject to occasional pollution from a sewer treatment works below the falls. There are woodlands here which are home to Badgers, Otters, Heron, Pygmy Shrew, Deer, Pheasant, Irish Dipper, Red Fox, Red Squirrel and many other small creatures. There are of course, Brown Trout, Salmon, and Sea Trout. 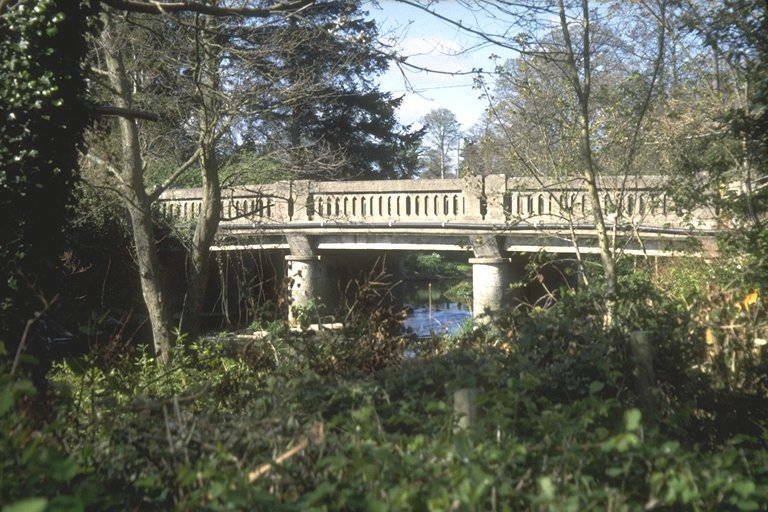 The River turns and makes its way across the flood plain above the Ashford Weir and the Ashford Bridge and then enters Mount Usher Gardens. 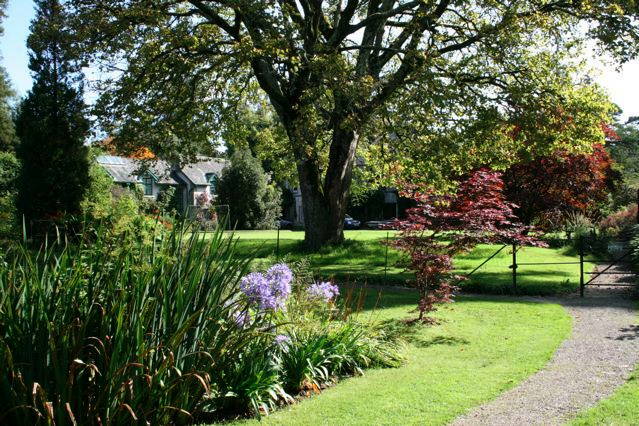 Mount Usher Gardens is the most treasured attraction in the area created by Edward Walpole, a Dublin businessman who was fond of walking in the Wicklow hills. 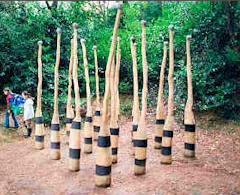 Today these gardens are a favorite of both tourists and locals. Just beyond Mount Usher is another difficult area of the River, where it passes by the Ashford Sewer Treatment works. This old, inferior Works often spills raw sewerage into the Vartry causing pollution and harm to the river. There are plans to change this into a pumping station to the new planned treatment works in Wicklow, but finances seem to make this a dream rather than a reality. 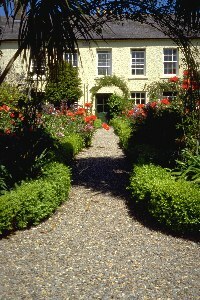 Past the Works is the estate of Rosanna which once belonged to the Tighe Family. It is said that back in 1868 the Tighe Family negotiated with the Vartry Waterworks for guaranteed levels of the river to be maintained. Anyone who can find the whereabouts of this document please let us know. The river wanders on to Newrath Bridge and Hunter’s Hotel, a 1700s coach house right on the bank of the river. Hunter’s like most of us, have a close connection to the river and depend on it remaining unpolluted and with consistent levels of water. From there the river meanders down to BroadLough Bird Sanctuary and enters the lake. One day I was down there and saw a large pink bird flying overhead. At closer inspection it was a flamingo! Now I was unaware that Rathnew was subject to migrating flamingo until I heard the news that evening say that the Dublin Zoo was missing one.